While inverters are used for many purposes, they are most often used to make money on the road for workers. They power all sorts of household electrical items in work trucks, vans and other vehicles. Having a reliable source to provide sales and support to your fleet installations is key. Many fleet managers trust the experience and customer service offered by Outside Supply. Call our office at 1-866-574-4983 to find out how we can help transform many of the problems in your fleet into solutions. In this guide we hope to cover many of the issues and items encountered by fleet managers on a daily basis. Finding a good partner is key in the supply chain for your fleet. Also having a partner that can help troubleshoot and determine the cause of issues can take away many of the headaches caused by power problems in your vehicles. Choosing the right equipment for your fleet vehicles can really save time and trouble down the road. A lot of times fleet managers are pushed to save a nickel here and there. This can be done and still purchase high quality equipment that meets your needs. Don't skimp on quality, because this year's savings will often add up in next year's costs. In fact most modified sine inverters only have a 90 day to 1 year warranty where as most of the true sine wave inverters we carry have a 2 year warranty. When choosing the inverter make sure that you choose one that is sized properly and is also capable of producing the proper sine wave for your tools. Many items like cordless tool battery chargers and speciality electronic items need these high end inverters to produce the clean power they require. Call our offices to ask any questions about choosing the right mobile power setup for your fleet. Customer example: One fleet manager was buying inverters for his fleet at around $2000 per unit. These inverters worked but we were able to get the cost down to under $1000 for the inverter. This reduced the overall cost to the fleet manager while actually providing a better more complete installation setup. A simple call to Outside Supply at 1-866-574-4983 made a huge difference in this fleet managers budget. Consider reliability over fancy features on many fleet vehicle mobile power systems. A more simple system often proves to be the longest lasting and the easiest to swap or replace when there are issues. Keeping your batteries charged in your fleet is a must. Dead batteries cut into productivity and can create large amounts of down time and unexpected expenses. Creating a system to keep both vehicle batteries and auxiliary batteries charged is a must for a fleet manager. Finding the right solution means spending time understanding why the batteries are going dead in the first place. 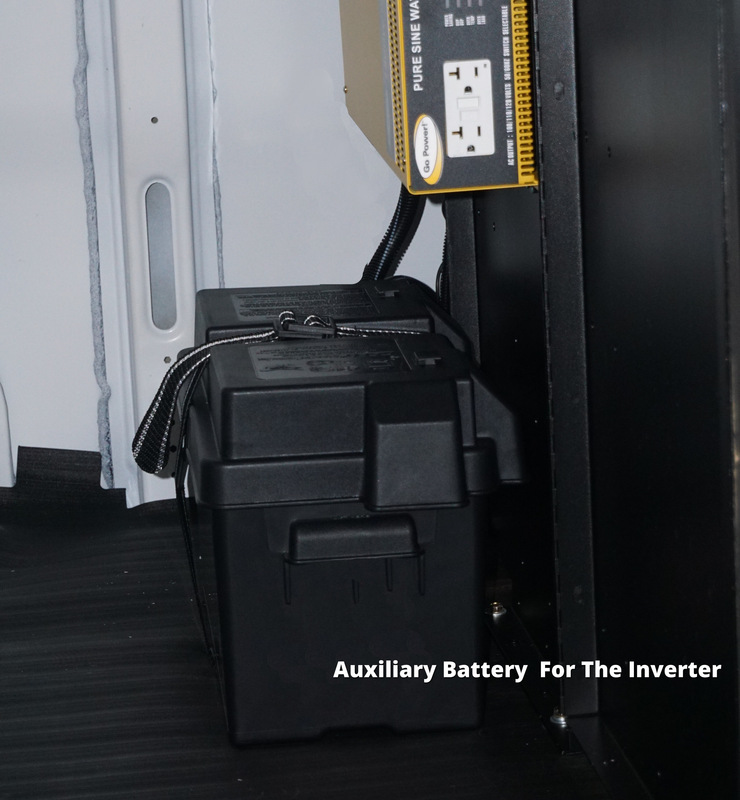 A vehicle that has an auxiliary battery that operates equipment can often benefet from a solar panel installation that keeps this battery charged at all times. Having a high use heavy duty mobile power vehicle charged every night at home base is a great way to keep batteries fresh and operating without issue. There are two main types of power inverters available on the market today. 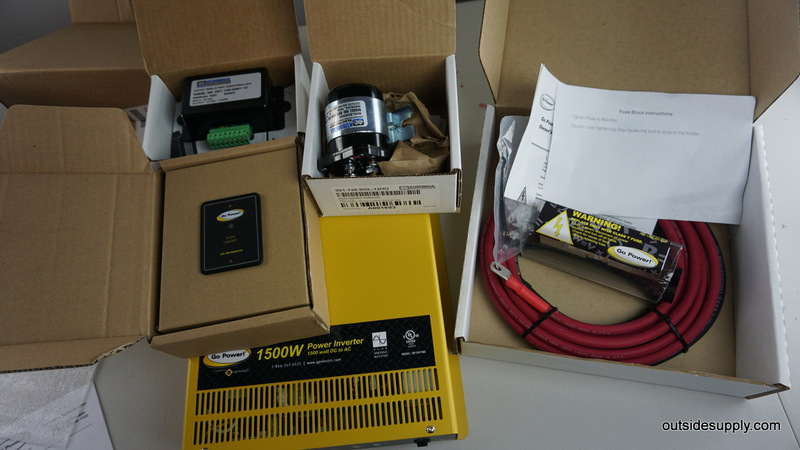 These are modified sine wave power inverters and their higher end cousin True or Pure sine wave power inverters. These units basically do the same job, but as with anything the devil is in the details. A low cost power inverter that uses old technology to create a really bad form of electricity that can power many 120 volt AC devices. These inverters can cause overheating and damage to more sensitive devices and battery chargers. These high end inverters produce AC power that is usually identical or better than the power produced from the grid. These inverters are required to run more delicate and sensitive loads like laser printers, oxygen concentrators, cordless battery chargers and anything which uses any special timing circuits or especially sensitive circuits. 99% of the inverters we sell at this time are True sine wave and this has been the case for years. The lower cost units are really just not the best option any longer. Using a proper style and size of fuse is key to a safe and reliable power inverter installations in a mobile work vehicle in your fleet. Many of our fleet customers have inverter power systems that were not properly fused during installation. One of our first goals is to make sure customers have the proper gear to install gear in their vehicles. 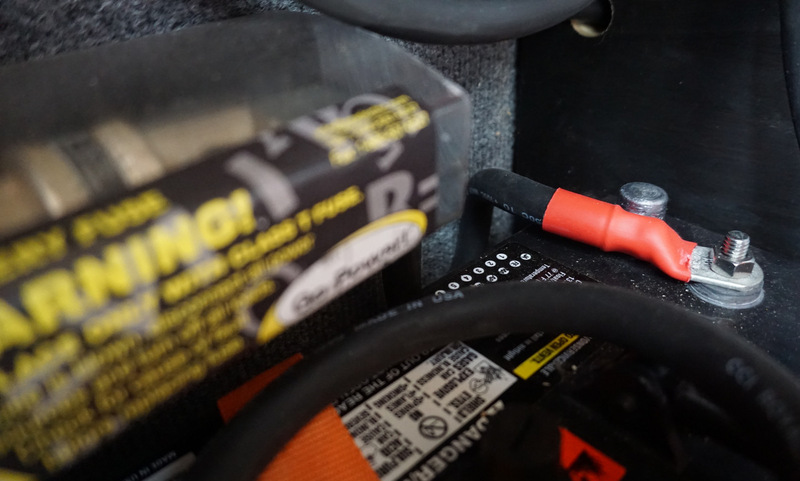 Remember fuses don't protect the inverter, they protect the battery and vehicle. 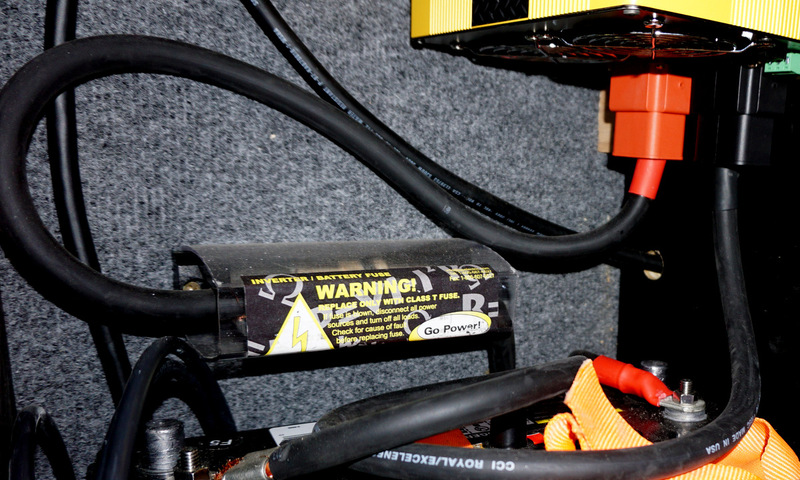 Not fusing a power inverter can cause fires and other very serious issues if there is a short to ground.